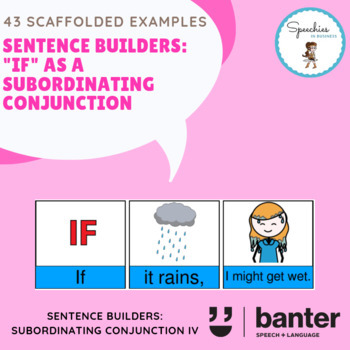 At around the age of 36-42 months, typically developing children begin to understand and to use complex sentences containing the subordinating conjunction "if". "If" is a very useful word. It signifies conditionality: things that might happen and the condition(s) on which they might happen. "If" is a subordinating conjunction, allowing people to link their ideas together. It is a word used frequently in negotiations, planning activities, stories and instructions. 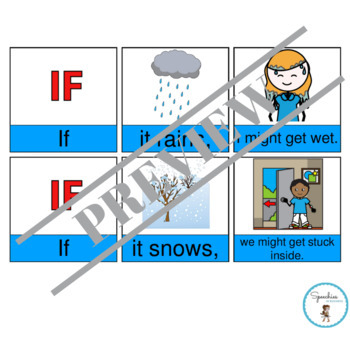 "If" is used in the classroom, the playground, in sports, and at home. It's an old word, but a core concept in many computer programming languages. "If" enhances verbal reasoning skills and social use language.